If you haven’t touched bamboo fabric before, you’re in for a treat, it is beautifully soft and silky, naturally breathable, and of course a renewable fibre source. 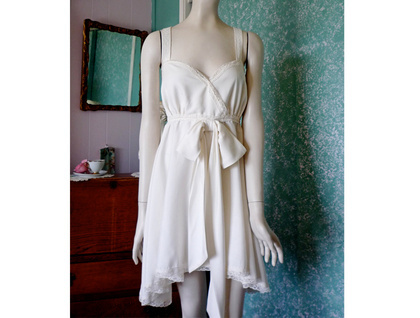 Melanie of by Nature, takes this divine fabric and designs and creates the most gorgeous lingerie and sleepwear. Let’s find out a little more about the woman behind the businesses…. Good question, still trying to answer that myself! Sewing is what keeps me sane. The need to create is like the need for air to our lungs to breathe. It gives me life. 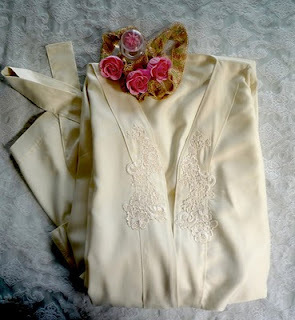 To be able to take a gorgeous piece of fabric and create something beautiful is my addiction. I also have a heart for women who have been through abuse and trauma. My own journey of recovery from trauma & abuse is used through my blog Woman to Woman to help bring healing and the courage to make changes for personal safety and not be defined by what we have been through, instead by what we are becoming. What is your Handmade Groove? In other words “ what lights my fire?” I love fabric, I have so much of it, I have forgotten half of what I have. I like to look at expensive things in a shop, imprint it on my mind and go home and make it more beautiful, more original and for half the price! I often will start something, and just create as I go and totally unsure of the outcome which often is a big surprise. What is on your Bedside Table right now? My red leather bound journal from “ Bibliographic” Louise. A dried red rose my husband gave me for Valentines day. Quite a lot hey, and of course, Foot Balm, and Aveeno Skin Relief. 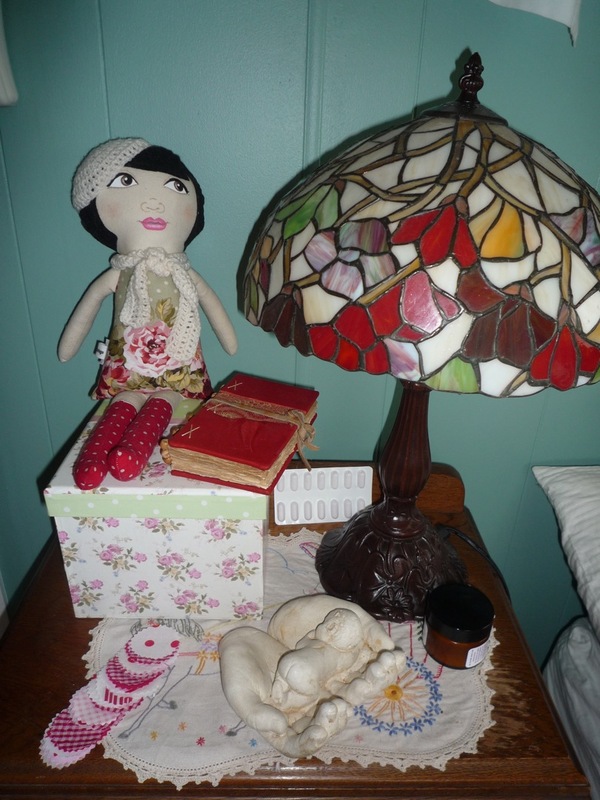 Most of my goodies on my bedside table are all from fellow Felt and Face book friends. I like to support them & try to buy from them first before I look else were. That is a hard one for me, as I have never had a role model or someone to edge me on with my creativity. Ever since I can remember I have been crafting, decorating, always scouting for new ideas, and probably gain my inspiration from fellow artists. I would have to say that my crafting is what has kept my sanity literally at times and helped me come through some major depression. I love Amy Butlers Books and Kaffe Fasset, but then again I have heaps of crafting books that I gleam from and ooh and aah over. I actually don’t listen to a lot of music, strangely for some I like to work in quietness I find noise and loud music disturbing. What would you talk late into the night about with like minded people? I guess that would depend on whom I am talking to, if it is one of my craft friends then I could talk all night about latest creations, ideas, dreams, works in progress. If it is one of my friends who are not creatively inclined then it would have to be about my blog Woman to Woman and my manuscript The Muted Cry. I have a heart for woman who have lived through trauma and abuse and long discussions on this topic fire me up to take more action. But to be honest, I’m not a phone person, I don’t really chat for long and often just let it go to answer phone! If you could go to three free workshops/creative events this year, which ones would they be? What are they about? I have dappled quite a bit in free motion quilting and art quilting using different mixed medias like paint, voile, ribbon and laces, thread play with metallic threads and I would love the opportunity to attend a workshop specifically on Textile Art and Thread Play. I think it is fascinating how we have moved from the traditional patchwork and quilting to now incorporate so much more with a lot more freedom for expression. I also love fabric painting, and would like to do some more workshops to learn some more techniques, I am basically self taught and would love to pick someone’s brain for more inspiration and ideas. Decoupage, is another passion, although it has been left on the shelf for the mo, I learnt how to do it at school, many, many moons ago and loved it. Since those days it has evolved and love the idea of antiquing, paint stressing and using a variety of mixed media. I also love the old fashion Pear type advert pictures. I have an awful looking sewing box which is quite big and was sold to me as an antique (not) that I plan to cover the top and then decoupage the rest of it. Another project in the sideline waiting to be done! How do you balance your family, life commitments? Fortunately at present this isn’t an issue for me, I do what I want when I want as long as my husband is fed! and the cats!! A year ago when I had my 3 young adult sons with me, it was harder as I was also working, my laundry pile was inconceivable. So I would have to just slot any creative time in when I could, it wasn’t a priority. Now that I have an empty nest (sob, sob) I can sew, paint, and write, whenever the urge takes me. It has been a very big change for me coming from working in a corporate environment as a business and finance manager, to now staying at home. 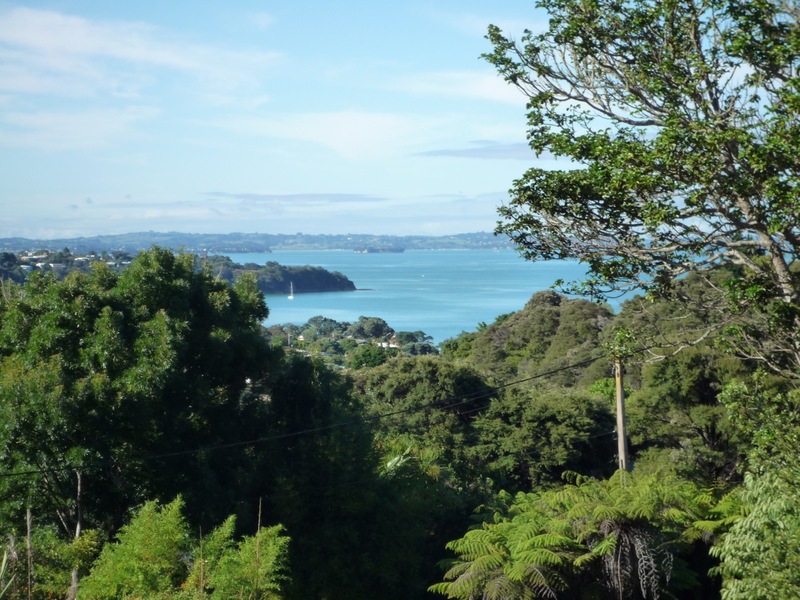 Moving to Waiheke Island was a decision based on the need to be less stressful, in an environment that is restful, relaxing and often very quiet. I have become somewhat of a hermit, don’t venture out much ( except the beach ) and keep very much to myself, but this has been necessary for part of my journey of healing and maintaining good mental health which is priority in my life. What is your favourite creative screw up? Well you couldn’t swing a cat or four in my kitchen let alone put a table in it!! I have one spare room, we live in a wee batch, and this is my sewing room come guest room, it is quite large. Previously it was the garage. But oh how I would love one of those wooden little houses that are about 4m X4m that have a little patio on it that I could call my own and disappear to! Do you have a wish list? Can you tell us what's on it? You know I don’t, probably more in my mind, you know how you find yourself saying sometimes “ Oh I wish “ but really I am very content, there is nothing that I need, lots that I want, but happy with what I have. I would like to return to South Africa for a visit it has been 15 years since I left and have never returned. And I definitely wish daily that I would be my slim size 10 again ( In my dreams!! ).